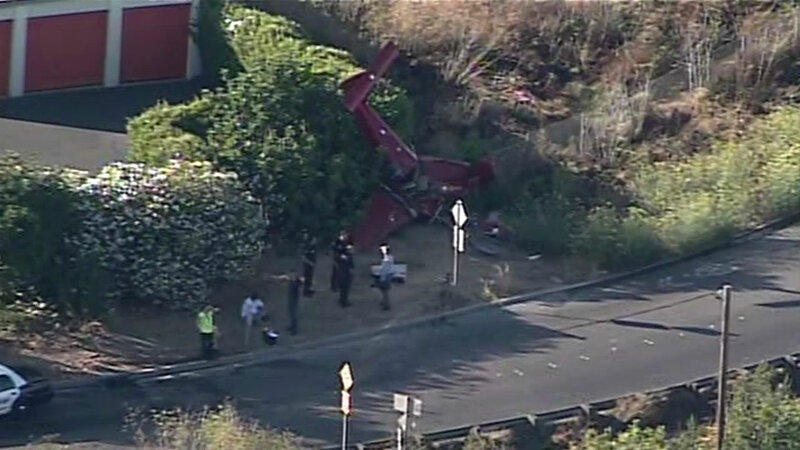 SAN CARLOS, Calif. -- Redwood City police say the pilot of a small plane that crashed after taking off from the San Carlos Airport Thursday evening walked away without injuries. The plane, described by a Federal Aviation Administration spokesman as a DV-1 Skylark, came down in the 300 block of Shoreway Road near Holly Street at 5:21 p.m., according to police Sgt. Nick Perna. The plane, which had just taken off from the nearby San Carlos Airport at the time, landed on the side of the road, Perna said. The pilot, the plane's sole occupant, was uninjured. Shoreway Road was briefly blocked but reopened after a tow truck removed the plane, Perna said.